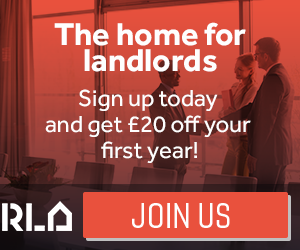 Three men behind a dodgy letting agency have each been sentenced to 28 months in prison following a major investigation by Islington Council after a five-week trial. The men, who ran companies in Islington and neighbouring boroughs using the trading name Crestons were convicted of carrying on business for a fraudulent purpose in a trial at Blackfriars Crown Court in December 2018. Their actions left at least 19 victims around £105,000 out of pocket. The court heard testimony from more than 30 witnesses. Between 2014 and 2016, Crestons failed to refund deposits to private tenants at the end of their tenancies, failed to pass on rent to landlords, and failed to put tenants’ deposits in an approved protection scheme. Mohammed Rayn Mashuk and Mohammed Ibrahim Ali were convicted under section 993 of the Companies Act 2006 of one count each of carrying on business for a fraudulent purpose, as officers of Sirs Associates Ltd t/a Crestons. Ahmed Ali Syed was convicted under section 993 of the Companies Act 2006 of one count of carrying on business for a fraudulent purpose, as an officer of Sirs London Ltd t/a Crestons. In a sentencing hearing at Blackfriars Crown Court on 17 January, Mohammed Rayn Mashuk, Mohammed Ibrahim Ali and Ahmed Ali Syed were each sentenced to 28 months immediate imprisonment. They must each serve half that sentence before being released on licence. If they breach the licence terms they will be brought back to prison. They were also each disqualified from acting as a director of a company for a period of 8 years. In her sentencing, HHJ Sullivan said: “This is a case of deliberate reckless trading carried out over a lengthy period of time” and that “offences of this nature undermine confidence in the lettings sector”. The lengthy and complex council investigation, partly funded by the National Trading Standards (NTS), was triggered by complaints from tenants and landlords who had fallen victim to Crestons. “We welcome this landmark sentence, which is a major victory for private tenants and landlords not just in Islington but across the country and sends the message loud and clear that rogue letting agencies cannot rip off their clients and get away with it. "NALS welcomes the outcome of this case which demonstrates that agents who commit crimes will be prosecuted. NALS will continue to work with Islington Council to ensure that consumers are protected and we stop these criminal agents from tarnishing the reputation of the sector as a whole. "Thanks to the work of Trading Standards the defendants in the case have been given a custodial jail sentence. It is only through the courts imposing severe sentences such as these that anyone tempted to behave in this way will be deterred”.